Lite Source does not take your lighting fixtures lightly. Instead, Lite Source aims to make even the smallest of lighting fixtures a dazzling hit of style. The Benedetta 2-Light Pendant features 2 powerful light bulbs that illuminate your space with brightness. The rest of the structure illuminates your space in the way that a smile lights up someone’s face. The metal shade is laser cut chrome that features twists and turns that keep the eye moving around the entire piece of art. Then, full cut crystal droplets dangle to add great sparkle to your decorating scheme. 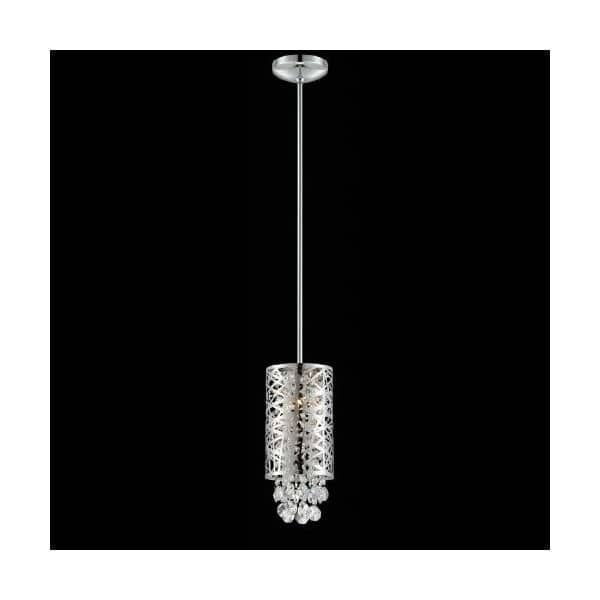 The metal shade has a more strong and steady style, and the sparkling accent crystal droplets balance it out. Is the chandelier of the future something you’d like to bring to your living space? String several pendants in a line for workspace lighting or hang one for an accent light.